5 MEDICAL HISTORY Name: Today's Date: Referred By: Age Height: Weight: 1. 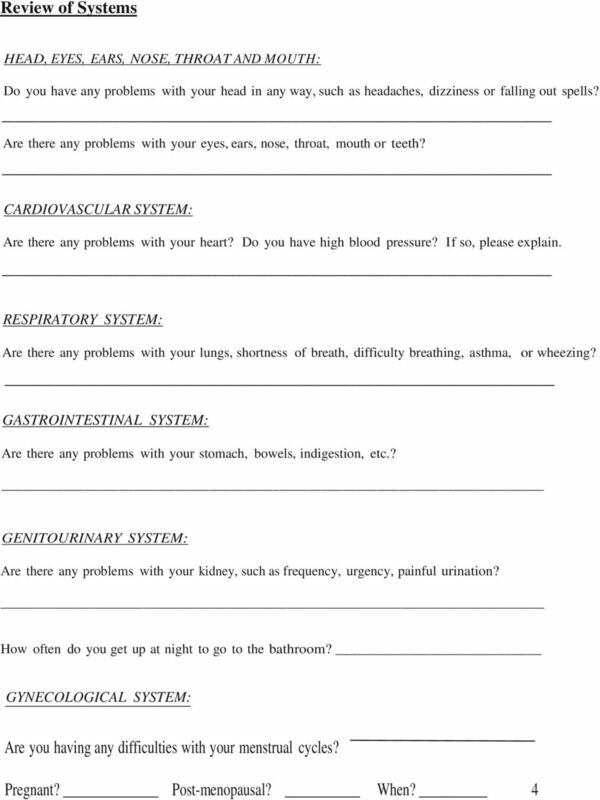 What problem, symptoms, or condition are you being seen for today? 2. WHEN was the first time the problem was noted (or if an accident: the time, place, and how you were injured)? 3. DESCRIBE the development of symptoms with approximate dates. Note the types of treatment(s) you have received, when you were treated, and who treated you. Has the problem gotten better, worse, or stayed the same over the last few days? 4. Note any prior occurrence of similar symptoms before the current condition began. 5. 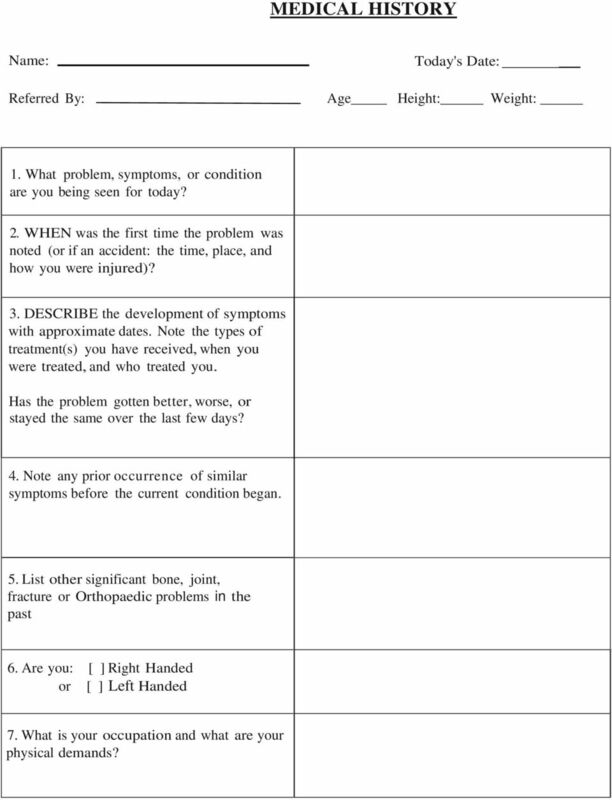 List other significant bone, joint, fracture or Orthopaedic problems in the past 6. Are you: [ ] Right Handed or [ ] Left Handed 7. What is your occupation and what are your physical demands? 7 PAST MEDICAL HISTORY Have you had the usual childhood illnesses, such as measles, mumps, chicken pox, etc. If so, which ones? Were there any residuals from any of these diseases? Have you had any major illness? If so, please list. Any residuals? Please list any surgeries you have had: Have any of your immediate family members had heart disease, cancer, TB, diabetes or osteoporosis? 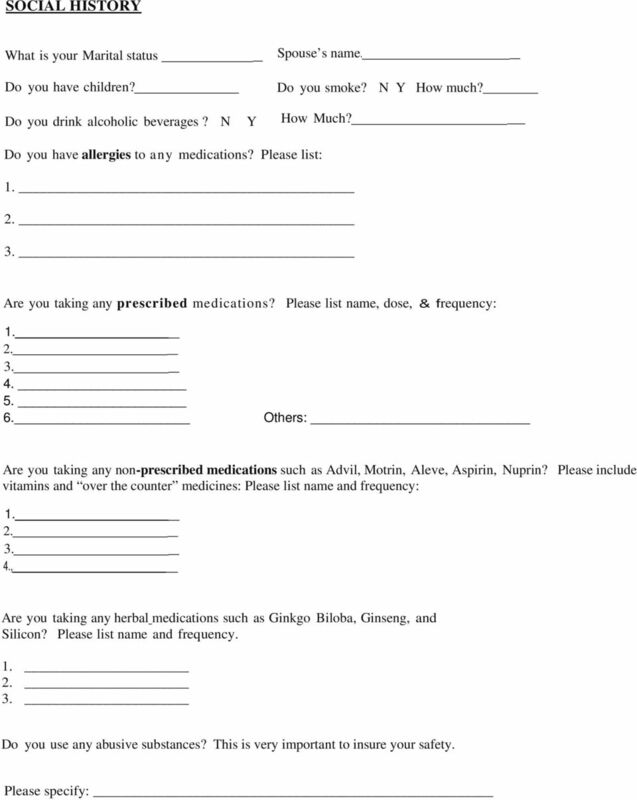 Any bleeding disorders (i.e., excessive bleeding), or other serious familial or hereditary disease? 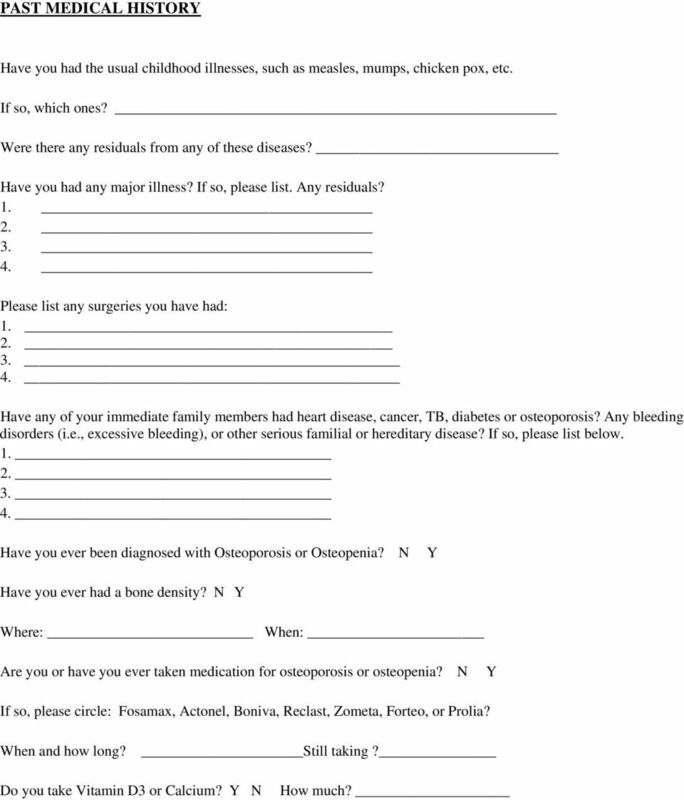 If so, please list below Have you ever been diagnosed with Osteoporosis or Osteopenia? N Y Have you ever had a bone density? 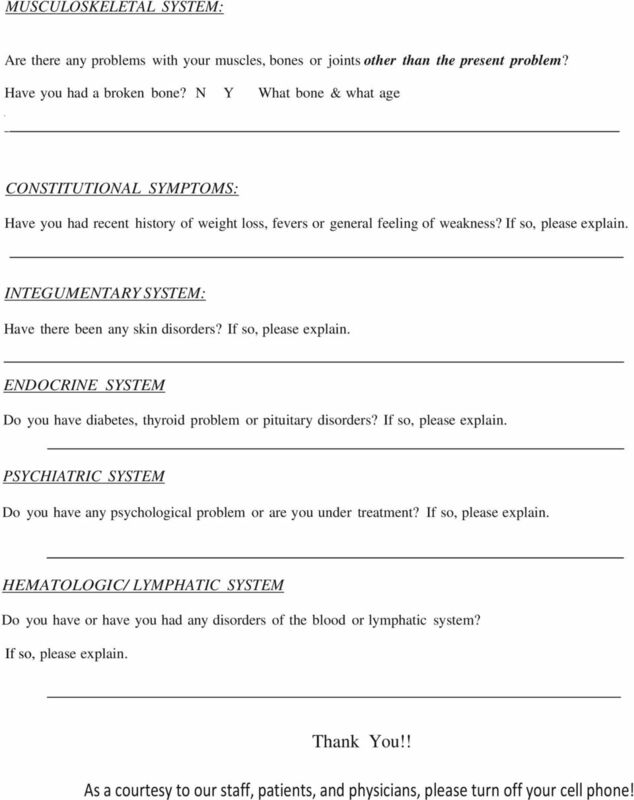 N Y Where: When: Are you or have you ever taken medication for osteoporosis or osteopenia? N Y If so, please circle: Fosamax, Actonel, Boniva, Reclast, Zometa, Forteo, or Prolia? When and how long? Still taking? Do you take Vitamin D3 or Calcium? Y N How much? 9 MUSCULOSKELETAL SYSTEM: Are there any problems with your muscles, bones or joints other than the present problem? Have you had a broken bone? N Y What bone & what age. _ CONSTITUTIONAL SYMPTOMS: Have you had recent history of weight loss, fevers or general feeling of weakness? If so, please explain. INTEGUMENTARY SYSTEM: Have there been any skin disorders? If so, please explain. ENDOCRINE SYSTEM Do you have diabetes, thyroid problem or pituitary disorders? If so, please explain. PSYCHIATRIC SYSTEM Do you have any psychological problem or are you under treatment? If so, please explain. HEMATOLOGIC/ LYMPHATIC SYSTEM Do you have or have you had any disorders of the blood or lymphatic system? If so, please explain. Thank You!! As a courtesy to our staff, patients, and physicians, please turn off your cell phone! 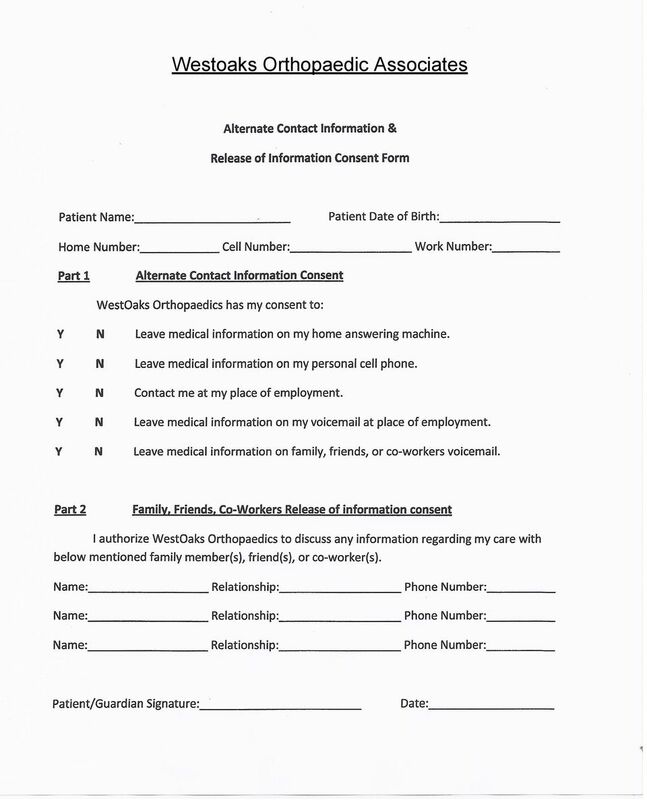 Please fill out the new patient paperwork and bring it with you, along with a photo ID and health insurance or Medicare card. THANK YOU FOR CHOOSING QPT FOR YOUR PHYSICAL THERAPY NEEDS! REGISTRATION FORM Please present your insurance card and photo ID at time of check-in. 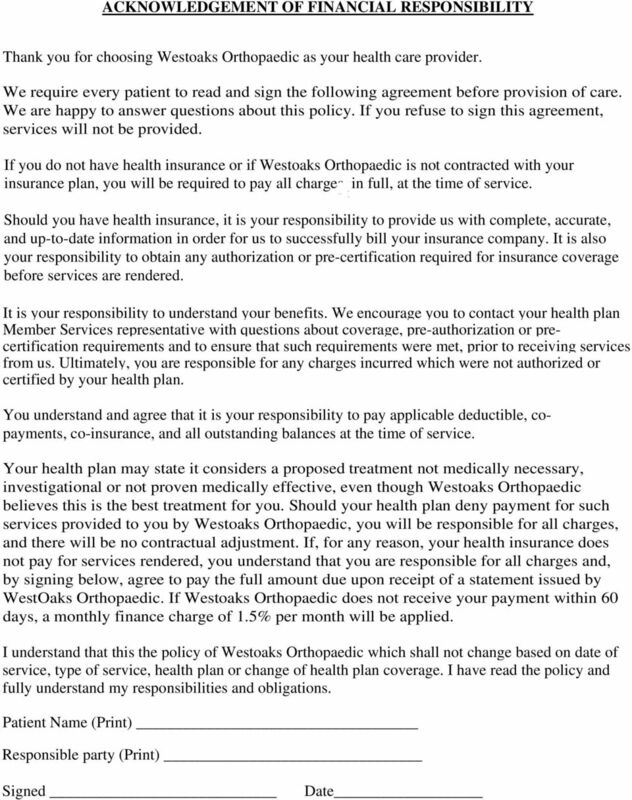 Settlement of patient financial responsibility is expected at time of service. 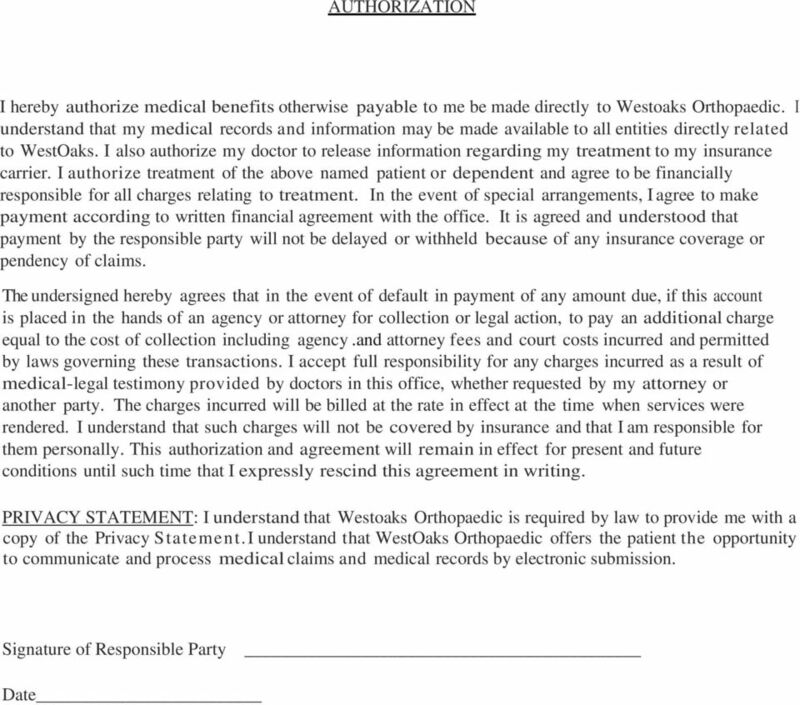 Copayment Is Due At Time Of Visit. 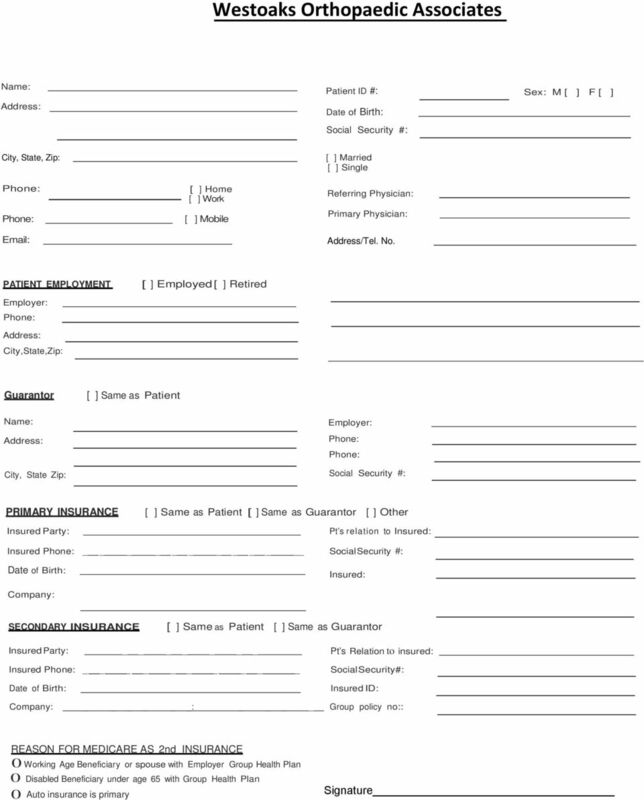 PATIENT DATA SHEET PATIENT INFORMATION Please complete this form in its entirety prior to your first visit. Also, please bring your insurance information and/or cards to our office at your first visit.